U.S. Rep. Ratcliffe is a limited government conservative and represents the 4th Congressional District of Texas. This district serves an area that includes 18 counties in North and East Texas. 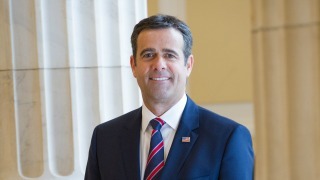 Rep. Ratcliffe is a member of the House Homeland Security Committee and House Judiciary Committee. Sign up for the Congressman’s live Vekeo events to be called when they begin and ensure that your voice is heard.